Happy New Year, my fellow freelance bloggers! I hope you had a fun and productive 2017. Now, let’s talk about blog goals for 2018. Let me start by saying that it’s so important to have freelance blogging goals for 2018 in place. I started my biz eight months ago now, and I’ve evolved so much since then in terms of both the theory and practice. I still have a long way to go and a lot that I’m aiming for, but I’m definitely in a much better place now than I was to start with. With the help of my loved ones and the freelance blogging community, I’ve managed to create and maintain a sustainable business which I look forward to developing even further this year. That being said, here are some important blog goals for 2018 that you should set for your business, whether you’re a newbie or an expert freelance blogger. Granted, you’ve probably already started pitching in 2017, whether this is cold pitching, warm pitching, or applying to jobs through freelance blogging job boards and marketplaces. However, even if you’ve been freelance blogging for years, it’s always worth assessing your pitch every now and again and going over each sentence with a critical eye. I find that there are always improvements to be made, especially if you’re sending multiple pitches per day and you’re not getting many responses. Just like your freelance blogging business, your pitch will grow and adapt over time based on what’s working and what clearly isn’t. Take your time to research what exactly it is that makes a good pitch, incorporate these findings into your own pitch and then away you go, sailor. Blog goals for 2018 101, right? I’d say one of the most difficult things about being a freelance blogger in the early stages is making the jump from being a novice who makes a few bucks every now and again on marketplaces, such as Upwork, to a professional blogger who can consistently add value to moderately-sized businesses. The latter is where you’ll find high paying clients. I must admit, it takes a lot of time, effort and hard work to make the jump, and you might find yourself somewhere in the middle for a rather long time (me in 2017) – but it’ll be so worth it when you get there. One of the most important blog goals for 2019 is self-promotion. Even though this should be a priority for any new freelance blogger, I find that there just aren’t enough hours in the day, or days in the week, to do everything that I want to do to market myself as a freelance blogger on a regular basis. Anyone else feel me? The majority of my time is spent blogging as that’s how I earn money – and gal’s got to make a living! That’s why one of my core blog goals in 2018 is to make sure I get into more of a routine with my marketing efforts. 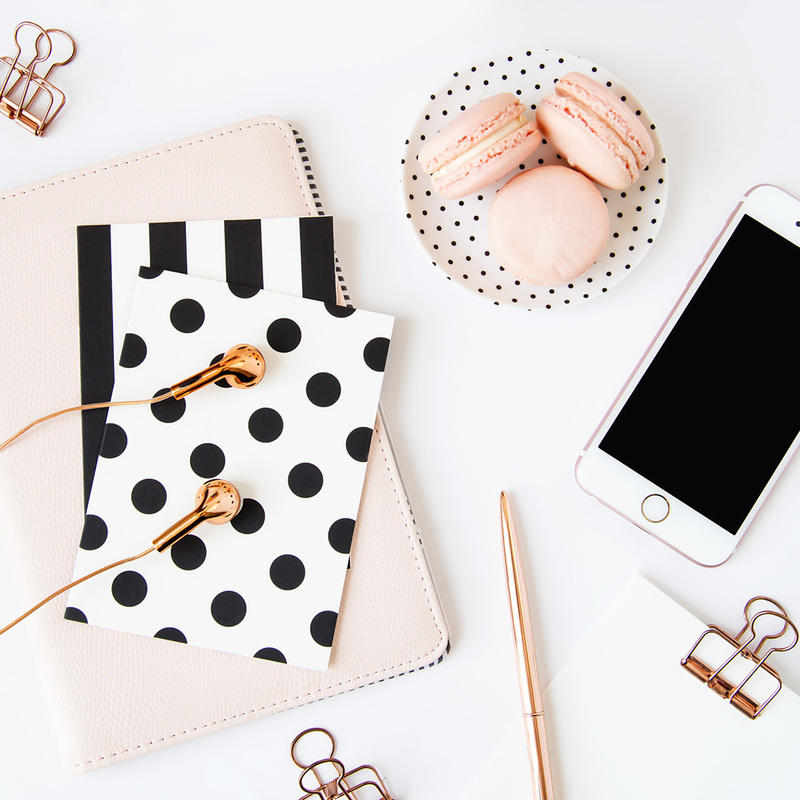 The best way to market yourself as a freelance blogger? I’ll let you in on a little secret – it’s not way, it’s ways. Plural. If you use a combo of SEO on your professional website and/or blog, social media and referrals – then you’ve pretty much cracked it. Guest posting can also be a great way for potential clients to find you and check out your website. And always remember: the more clicks and traffic you get to your site/blog/social media channels, the more chances you have to promote yourself to potential clients, and the more likely these potential clients are going to choose you as their new content creator. Content might be King, but good marketing techniques create more opportunities for clients to convert. Think about it. There’s not enough emphasis out there in the freelance blogging community about how important it is for your personal branding to be spot-on. For example, my pink, feminine branding showing stationary and writing tools help communicate to my audience that I’m primarily a fashion writer focusing on womenswear. Plus, all my visuals are consistent across my site and blog, using the same fonts and colour palette. This creates a brand handwriting that’s immediately recognisable to my audience and reflective of my business. Even though it seems insignificant at first in comparison to the fundamentals, I must emphasise that branding is everything. Well, maybe not everything – but it sure does help you in your quest to achieve freelance blogging success. Obviously, making bank should be high on your priority list when it comes to setting blog goals for 2018. It goes without saying that the more high paying clients you have on board, the more likely you are to boost your financial income in 2018. And if you have multiple income streams? Even better. Affiliate marketing – This involves being in partnership with companies to earn commission from their sales by using affiliate links throughout your content. Digital products – This involves creating eBooks and/or online courses to sell information to your audience. Sponsored posts – This involves advertising a brand or company’s products or services to your audience through a dedicated blog post. You can also charge companies for web banner advertising if you have a lot of blog traffic on a daily basis. I’ll cover this more extensively in a future post. However, essentially, we all want to grow our freelance blogging businesses and continue to be successful, so it’s a good idea to look into different options of how you can make money. This way, if one of your revenues was suddenly eliminated (for example, you lose a client) then you have the other revenues to fall back on and it won’t hurt you too much financially. It’s true that we all have doubts as new business owners and we all have “the fear” that something will happen and our biz will suddenly no longer exist. 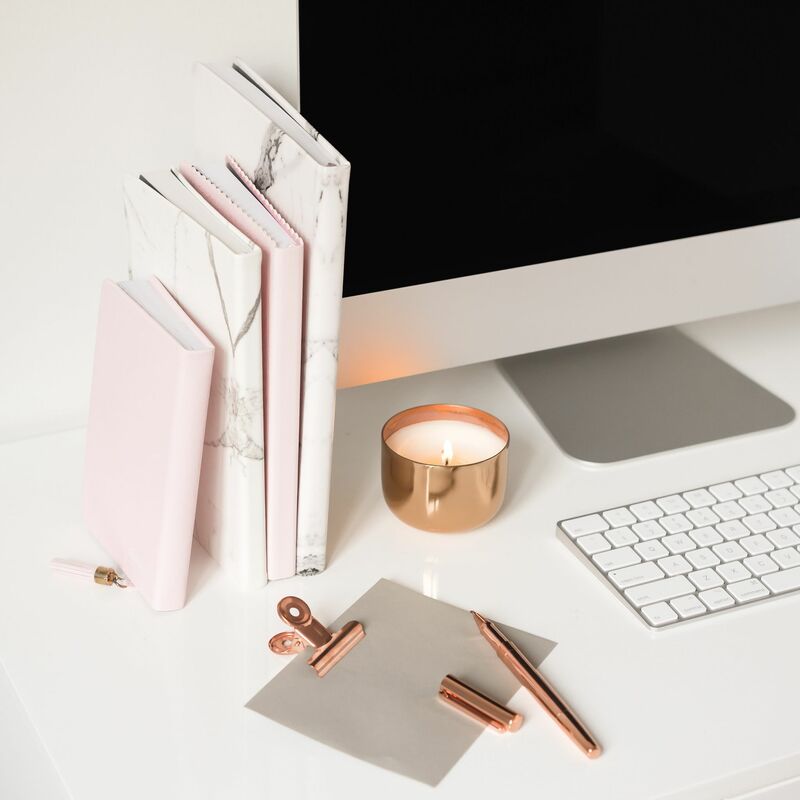 Be that as it may, it’s important to always have freelance blogging goals in place for your business so that you know which way you’re heading and what you need to realistically achieve to take your biz to the next level. 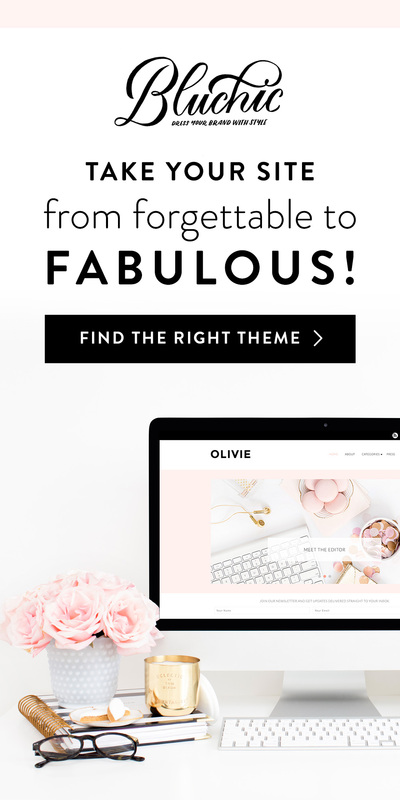 Even if you don’t meet your blog goals for 2018, at least you can say at the end of the year that you’ve given them a darn good try. What are your blog goals for 2018? Let me know in the comments!